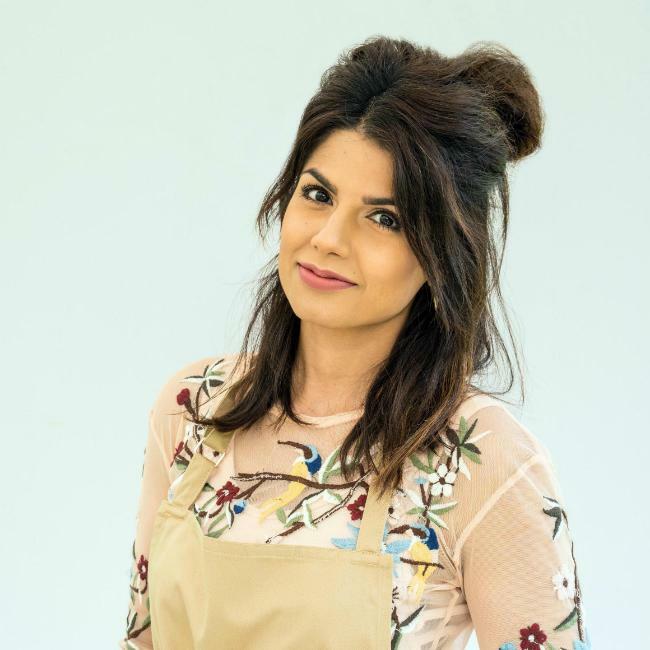 Ruby Bhogal has been tricked into revealing this year’s ‘Great British Bake Off’ winner by an online prankster. The 29-year-old project manager – who is a finalist alongside Kim-Joy, Rahul Mandal, and Briony Williams – is said to have divulged the winner of the pre-recorded series on Twitter after a guy set up a fake account posing as the show’s co-host Sandi Toksvig, and then sent Ruby a series of direct messages. He told The Sun’s Bizarre TV column: "It’s actually pretty easy to do really. "You just make a fake profile of one of their friends and then they follow you. "You then change your name and message them and they have no clue." Ruby’s spoiler slip comes nearly a year after show judge Prue Leith tweeted the name of last year’s winner, Sophie Faldo, on the morning of the finale. She wrote: "No one told me judging a #gbbo final would be so emotional. I wanted them all to win. Bravo (sic)", and then the name of the winner appeared. But she later expressed regret over the accidental mishap, blaming the time difference because she was in Bhutan when she sent the message. She said: "I’m in Bhutan. The time difference is massive. I thought that they got it six hours ago. I’m in too much of a state to talk about it. I f***ed up. "I am so sorry to the fans of the show for my mistake this morning, I am in a different time zone and mortified by my error #GBBO. (sic)"
Prue recently admitted she has been told she "ruined lives" after she spoilt last year’s finale, and admitted it was "scary" and "horrible" when she accidentally let slip the triumphant baker’s name. "I thought, ‘Oh my God, it’s after 10:30.’ And so I immediately tweeted. And of course it was five hours out or something. "But it was too late. Two people had retweeted it, saying ‘How disgraceful, she has given away the secret.’ And then they gave it away!"